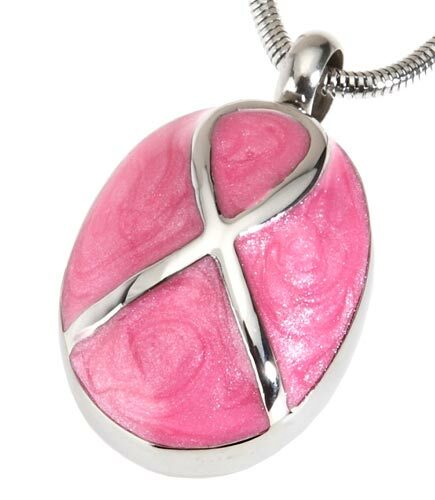 This pretty Chelsea Pink pet memorial necklace is a beautiful way to keep a token amount of ashes with you always. 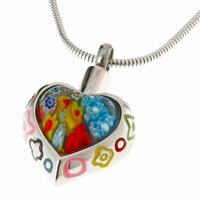 Choose from an oval or heart shaped pendant, both with a pink enamel finish. 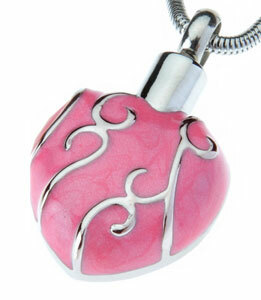 The pendant has a small chamber urn to hold a very small pinch of ashes. Made of high quality 316L stainless steel on an 18 inch chain. 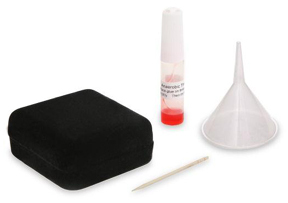 This charming piece of memorial jewellery comes complete with a funnel, sealant and box.